Why Is It Called a Husband Pillow? How Does a Husband Pillow Work? What Does a Husband Pillow Look Like? What’s the Best Kind of Husband Pillow? Alternatives: Bed Rest Pillow, Reading Pillow, or Boyfriend Pillow? Feminists and generally woke individuals, we know you’re rolling your eyes! The term “husband pillow” can be misleading and non-inclusive, but it does have understandable roots. Regardless of its name, it’s a great multipurpose pillow to have around. The pregnant and breastfeeding often find the lumbar support offered by the husband pillow helpful. It can also be comforting and—however vaguely—not unlike the feeling of resting against the chest of a husband. This is likely how the informal name for it came to be. Important to note, though, that the husband pillow is not the same as a maternity pillow. You don’t have to be pregnant or nursing to find the husband pillow cozy and useful. The arms of the husband pillow allow it to remain propped up without having to lean against anything. This makes it an ideal and portable addition to your bed or bedroom. A husband pillow can be used while you are reading, watching television, playing video games, or on a smart device like a tablet or a phone. It takes the place of a chair’s back and armrests when you want the support but don’t actually want to sit in a chair. It is a great supportive pillow for people that will spend a lot of time in bed: the convalescent, the elderly or the sick. It allows them to sit up even without an adjustable base as a bed frame. The husband pillow is also something you can carry around and use wherever you want. Apart from when you’re on the bed, you can use a husband pillow while on a large couch or part of a sectional; even while sitting on the floor. 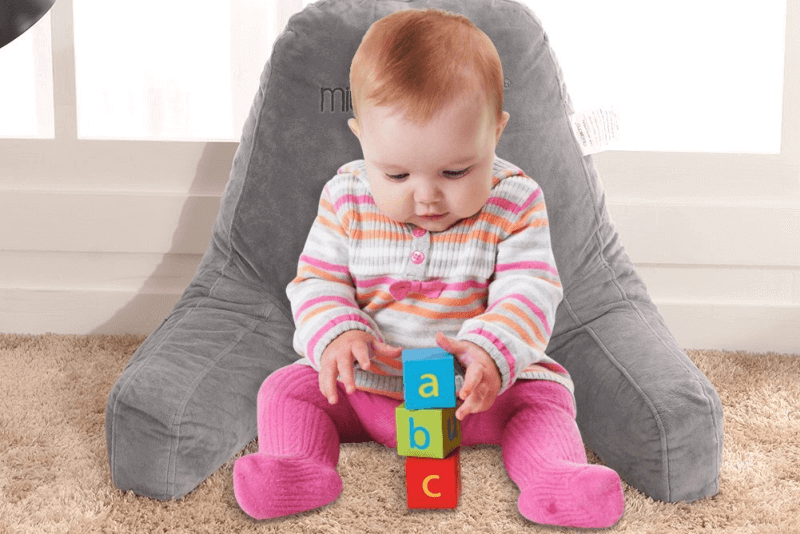 Toddlers or infants just learning to sit up can also use them. The husband pillow is usually a high padded backrest with arms. It should support your back and sides unobtrusively while you are sitting upright and not asleep. As it is designed for use while you are awake, the husband pillow must be comfortable yet supportive; solid yet not unwieldy. Some designs take comfort to a whole new level! Luxury variants usually have adjustable headrests and armrests, as well as cup holders and side pockets. A few even boast of reading lights and back massagers. Should you purchase a husband pillow, we recommend that you choose one with a removable and washable slip cover. Even better, choose a brand that also makes replacement slip covers you can buy separately. Do away with the add-ons and extra bells and whistles! A simple, sturdy one will last longer. The husband pillow goes by several other names. People may also call it a bed rest pillow, reading pillow, or a boyfriend pillow. You can usually count on the term “bed rest pillow” or “bed rest lounger” to be interchangeable with “husband pillow”, but the other two are debatable. Neither of the latter two are as distinct. Both terms can refer to pillows of different size, shape and construction. Triangular therapeutic pillows can sometimes be called reading pillows. Picking something like this instead of a standard husband pillow is a good cost saving technique. A wedge pillow can be both for reading and for slight elevation due to acid reflux, snoring or other medical issues. Sometimes the husband pillow is called a boyfriend pillow. Don’t look at us; it’s Wikipedia that says so! This causes a good amount of confusion. 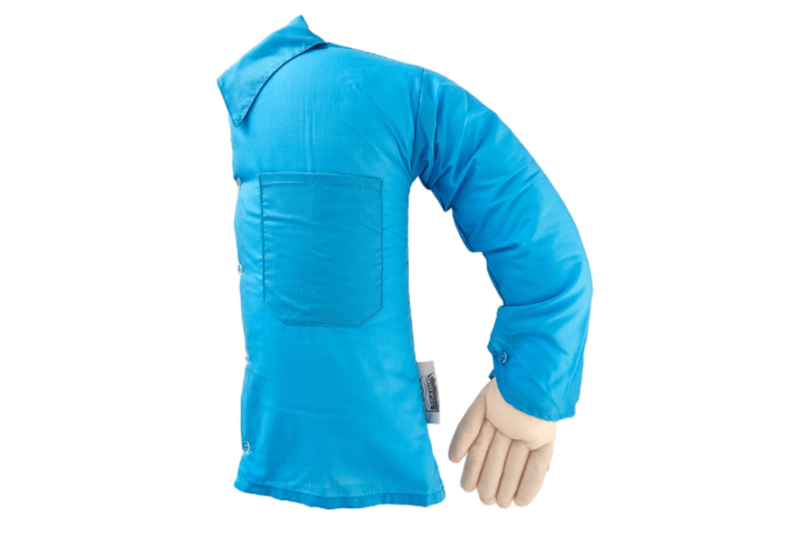 There is a different and separate design known as the boyfriend arm pillow—and the word “arm” is often dropped. The novelty pillow is shaped like half a man’s chest with an arm attached to it, and unlike the husband pillow, it’s meant to be used while sleeping. It is supposed to help you simulate a side sleeping position because you can cuddle up to it.